Founder & President of Bright Path Wellness, Inc.
Diana DaGrosa was born as a premature twin into a family where many of her relatives died young. From birth, she had several health issues of her own to deal with, but she was determined to change the course of her life. Diana suffered from a highly agitated digestive system, and a severe and painful endometriosis that had led to surgery. Determined to find a better and less-invasive way to heal, she took up advanced training in three key, natural health approaches -- Functional Medicine, Traditional Chinese Medicine (TCM) and Applied Clinical Nutrition. Through her ferocious tenacity, Diana found solutions that had not been offered to her by those in conventional medicine. Diana now brings this blend of leading-edge offerings to her holistic practice at Bright Path Wellness. Her unique, integrated approach allows her to find the root causes of any health challenge. Once the root cause is known, Diana’s tool kit of natural treatments and remedies allows the body to heal itself with a natural and gentle approach. Digestive issues are often are at the root of many disease processes. These issues drain our energy and hold us back from pursuing activities we love. Diana’s approach begins by addressing these issues with an empathetic, compassionate style of communicating that allows her to assist each client with overcoming internal blocks that strain the digestive system. Diana understands first-hand how our emotional state contributes to our physical health. As a sensitive child, growing up in a family with high expectations, Diana learned to push her body too hard, and became an overly helpful, people pleaser. She sought perfection via unhealthy means as a way of attempting to control the chaos and yelling in the home. The stress of repressing her feelings led to some her most painful gastrointestinal issues. She now teaches her patients the importance of maintaining a healthy balance of spirit, mind and body by balancing Yin (thought) and Yang (action). The name, Bright Path, comes from the translation of "Wa-tho-huk", the Native American name of Olympic Gold Medalist Jim Thorpe, One of the greatest athletes of all time, Thorpe was a friend of Diana’s grandfather and the winner of the 1912 Decathlon and Pentathlon. Thorpe has been an inspiration to Diana, whose path has taken her from the study of Clinical Nutrition, to training in herbal medicine, holistic health, functional endocrinology and whole food nutritional therapy. This in-depth, leading-edge approach not only healed her, but has healed numerous patients with complex challenges. See how Bright Path can help you, too. Eat proper foods when hungry, avoid eating out of boredom or convenience. Place kind energy into the food while you are preparing it. Create a pleasant environment when eating. Eat mindfully while sitting and enjoying conversation, avoid eating in front of the TV or while otherwise distracted. Eat slowly and comfortably and not to excess. Enjoy a wide variety of colorful foods in each meal. Diana has been a health care practitioner for more than 30 years, a Practitioner of Oriental Medicine and Licensed Acupuncturist for 13 years and has attended more than 2,000 hours in Advanced Clinical Nutrition, Functional Endocrinology & Specialty Acupuncture seminars. 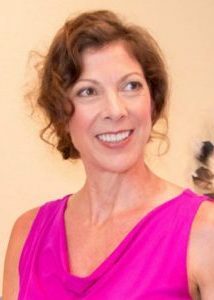 Earlier in her career, after returning from Japan she became a massage therapist to learn how to assist with injury recovery and had treated more than 13,000 clients during a 12-year period. Diana creates her own body care products and uses aromatherapy extensively in her wellness center. Diana is uniquely qualified to determine the root causes of any ailment. Her extensive toolkit includes the treatment of health challenges with top-of-the-line herbal formulas, professional grade nutritional supplements and acupuncture treatments. She specializes in Natural Digestive Health and Emotional Support. Coursework completed for Certification with the world-renowned Institute for Functional Medicine. Begin Your Bright Path Journey Today!